Our wilderness is home to an unbelievable amount of animals and plants. In this area live about 370 bird species, countless mammals, about 100 reptile and amphibian species, and over 6000 insects and butterflies. For those of you who are coming to Costa Rica for the first time we would like to emphasize that all these mysterious plants, trees and animals are nothing to be afraid of. These animals won’t attack you, they are shy and most of the time they will hide themselves before we even get close to them. 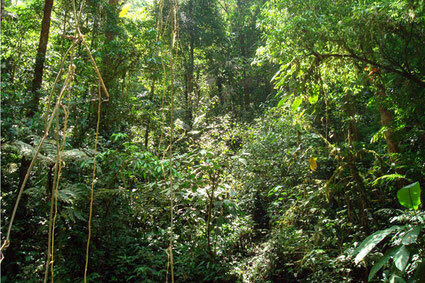 Explore the unbelievable diversity of species of the rain forest during 2-3 hours trip. With some luck you will be even able to admire the tiny frogs or the shy agoutis. What you will definitely face is the most diverse kind of birds, for example the pepper bird, hummingbird, parrot, aras, and more, as well as an innumerable amount of butterflies.